Don't miss CT4ME's Test Prep Help this School Year! See CT4ME's Common Core Resources for high school learners. Use these all year long to address each of the domains within the Common Core standards. Visit our extensive collection of resources for Preparing Your Students for the Ohio Graduation Test in Mathematics. Educators will appreciate our Six Steps to Success and resources to help your students to review concepts and practice questions correlated to grades 8-10 mathematics benchmarks. Each set of strand resources for the state high school exam is accompanied by a downloadable test prep booklet. Students, regardless of the state in which you live, can benefit. Hot news of January 2012! CT4ME.net was named in the Schools.com list of 20 indispensible online test prep resources. No Child Left Behind legislation required states to measure students' progress in reading and mathematics annually in Grades 3-8 and at least once in Grades 10-12 by 2005-2006. The Every Student Succeeds Act (ESSA) maintains the requirement that each state implement "a set of high quality student academic assessments in mathematics, reading or language arts, and science" (114th Congress, 2015, p. S.1177-24) among its provisions. Further, mathematics and reading or language arts assessments will be administered in each of grades 3 through 8, and at least once in grades 9 through 12 (p. S.1177-25). Beginning in 2014-2015 school year, learners faced a new testing challenge in that their assessments of learning will be via online testing of the Common Core standards. Assessments are being developed by organizations such as PARCC and SBAC. Tests may take learners from 8-10 hours to complete (Doorey, 2014; Gewertz, 2013). As a result, educators have become concerned about the nature of these tests and what appears to be an excessive focus on test preparation. Online testing has posed additional concerns about required technology, sufficient bandwidth, computerized test security, learners' technology skills, and new forms of test anxiety. Computerized testing raises new issues that require updating of test security laws and policies, as policies written for standardized testing administered via paper-and-pencil are no-longer sufficient. ACT has a highly relevant report in this regard: The End of Erasures: Updating Test Security Laws and Policies for Computerized Testing by Michelle Croft (2014). Croft (2014) outlined many concerns, noting that computerized testing does not eliminate cheating and test piracy. Such practices just take on different forms. Unique risks include such things as "educators logging in to tests to view questions or change student responses, computer hacking; keystroke logging; printing, emailing, or storing test information in a computer outside the test delivery system. 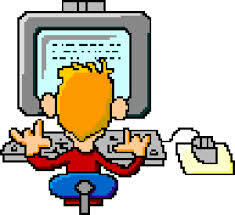 ... there is a greater risk of students accessing the Internet and other programs during testing" (p. 1). There's concern about students using their own devices for testing and who has administrative privileges. How should workstations be positioned and secured so that students can't see what's on the monitors of others. The test security section should also include an itemized list of what materials are secure (e.g., work folders, student authorization tickets with IDs and passwords, session rosters, scratch paper, reference sheets). "Information about who can access the test should be clearly	articulated. In addition, there should be information on how to report test security concerns and possible violations, which can be applicable regardless of the testing format" (Croft, 2014, p. 4). Thus, educators should become familiar with any new policies regarding computerized test administration, including what they, test proctors, and students may and may-not do. Students recognized and rewarded for success (p. 33). Communication skills: write clear, well-informed, coherent explanations in all content areas; write comfortably in the following non-fiction genres: problem/solution, decision making, argument, comparative; read and write about two or more documents. (Part One: Introduction section, Figure E). Emphasis on literacy was one key effective practice in Ohio's improved school districts (Kercheval & Newbill, 2002). In other words, good instruction is the best test preparation! What has changed for Common Core assessments, however, in relation to that good instruction is that teachers need to ensure their learners also have the technology skills to perform well on tests administered online. Per Kristine Gullen (2014), "If we want an online assessment to capture a student's level of learning, rather than that student's ability to navigate technology, teachers must integrate these skills into their instruction, giving students practice before administering high-stakes exams on a computer" (p. 69). Hence, among the best ways to prepare learners for new assessments is to integrate test preparation into every day lessons using CCSS-type questions linked to the curriculum and to use technology for assessments and as a content learning tool. It's more effective than a two-week or more crash effort for test prep prior to the actual high-stakes exam (Miller, 2014). Learners need practice with the new testing formats, and new types of questions. For example, multiple choice questions might have more than one answer. They need practice with the same and must be able to enter test responses via a keyboard, sometimes placing those in boxes on the screen. Fluid keyboarding skills will help minimize frustration when answering constructed-response questions. They also need good "mousing" or "touchscreen" skills to enter or remove responses via click or drag and drop into particular places on a screen. And they need to build endurance for working long periods of time at the computer via gradual focused exposure to the new testing scenario. Gullen (2014) noted that learners also need skills highlighting text, drawing lines and creating graphs on a screen, operating an online calculator, and using a scroll bar. The need to use a scroll bar might be increased if learners also need to increase font size, an accommodation feature. Above all learners need "opportunities to build a level of comfort with the actual keyboards, screens, eternal mouse or touch pads, and so on that they'll use during the assessment" (p. 71). Piloting online assessments from PARCC or SBAC will help in this endeavor, as will debriefing learners following those about their difficulties and recommendations for additional skills they need to develop. Jeff Weinstock (2008) of T.H.E. Journal provided food for thought for critics of standardized testing. "When the system works the way it should, teaching to the test is a misnomer. It's not the test that teachers are teaching to, but the state learning standards embedded in the test. Has the student learned this, that, and the other?...Count me among those who think introducing some accountability into math instruction is an idea whose time has come. I can't suffer another generation of supermarket cashiers who become disoriented when I hand over $8.07 for a $7.82 bill" (p. 8). Read Dr. Patricia Deubel's commentary, Accountability, Yes. Teaching to the Test, No featured April 10, 2008, in T.H.E. Journal. Read Dr. Patricia Deubel's commentary, "Test Prep and Math Realities," featured September 27, 2007, in T.H.E. Journal. We would hope that teachers use a broad range of curricular materials and activities that address standards--what we have identified as important for students to know and be able to do. Teaching to the test is not a new practice brought about by NCLB, nor will it be any different for preparing learners for testing of the Common Core standards. Teachers have been doing it for as long as standardized tests have been used to make important educational decisions. Years ago, William Mehrens (1989) stated, "Although teaching to the test is not a new concern, today's greater emphasis on teacher accountability can make this practice more likely to occur. Depending on how it is done, teaching to the test can be either productive or counterproductive" (para. 2, 3). Those words are still true. He and his colleague Kaminski (1989, cited in Mehrens, 1989) suggested the following seven points on the continuum along which practices range from ethical to unethical, or legitimate to illegitimate. Mehrens (1989) indicated, "The inferences you typically wish to draw from test scores are general in nature and will be inaccurate if you limit instruction to the actual objectives sampled in the test or, worse yet, to the actual questions on the test" (Summary section). providing practice or instruction on the test itself. (Seven Points on the Continuum section). Educators will observe, however, that current test prep efforts do include using questions from old tests, which state departments of education release. Technically, these are not parallel forms of the same test. statements of specific content standards to be addressed in the lesson. objectives that translate the standards into outcomes-based language. This means that objectives include descriptions of student behaviors or products that should result from the instruction. curriculum materials and instructional activities sequenced to elicit the performances stated in the objectives. assessments of student work based on performances and behaviors identified in the objectives. Teachers might save examples of student work meeting standards. Bloom's Taxonomy, which lists behavioral verbs, is often used as a resource when writing performance descriptions in objectives and assessments. identify critical standards to be achieved in each subject for each grade level. develop a curriculum pacing guide that informs teachers when their students should achieve critical standards throughout the school year. use benchmark tests to measure the achievement of important standards at quarterly intervals throughout the school year. Standards and benchmark assessments should be aligned from the beginning of test development. Enhance the diagnostic value of assessment results through initial item and test structure design. Distracters should be built into multiple choice items to reveal common student misunderstandings. Likewise, extended response items should reveal students' potential misconceptions. To ensure fairness for all students, including English language learners and students with disabilities, language used should not be unnecessarily complex. Contexts used should be familiar to student subgroups and not hinder them from demonstrating what they know. Data should reveal test quality and include psychometric indices that reveal the reliability of the assessments. Reports should be user-friendly so that educators can easily interpret results. Schools might need to provide additional guidance and support for teachers to use the results (e.g., pedagogical knowledge, alternative materials, teams to analyze results). Benchmark testing should meets its purposes and requires systematic design and continual evaluation. Many are concerned that standards-based instruction neglects the diverse learning needs of students. However, Carol Ann Tomlinson (2000) indicated, "There is no contradiction between effective standards-based instruction and differentiation" (i.e., attending to the diverse needs of learners). "Curriculum tells us what to teach: Differentiation tells us how." For any standard, "Differentiation suggests that you can challenge all learners by providing materials and tasks on the standard at varied levels of difficulty, with varying degrees of scaffolding, through multiple instructional groups, and with time variations. Further, differentiation suggests that teachers can craft lessons in ways that tap into multiple student interests to promote heightened learner interest in the standard. Teachers can encourage student success by varying ways in which students work: alone or collaboratively, in auditory or visual modes, or through practical or creative means" (p. 9). An intense schoolwide focus on improving academic outcomes most distinguishes higher- from lower-performing middle grades schools. In higher-performing schools, curricula and instruction are closely aligned with state academic standards. Higher-performing schools use assessment and other student data extensively to improve student learning and teacher practice. Data are used throughout the year in higher-performing schools, rather than just a few times a year as seen in lower-performing schools. Higher-performing middle grades schools emphasize early identification and proactive intervention for student academic needs. Every role in a professional community of educators is important to making gains in middle grades student outcomes. This includes practices by teachers, principals, and superintendents. You can read a more complete review of this study at our Education Research page for Standards, Raising Achievement, Assessment, and How People Learn. Become a Smart Learner--Raise your Skills! According to an Education Week Quality Counts (2010) report, many states provide educators with benchmark assessments or item banks linked to their state standards (p. 41). Learn more about standardized tests in your state, and the National Assessment of Educational Progress (NAEP) using resources in this section. Are your students ready for the Common Core math exams? You can find out by using Benchmark Now!, a free online tool from Naiku for Grades 3-High School. It is designed to help identify students' knowledge and skills with professionally developed assessments using questions from Houghton Mifflin Harcourt’s Assess2Know® Benchmark Item Bank. Questions in the item bank are aligned to Common Core State Standards. There are beginning-of-year assessments help identify students’ readiness by domain and multiple interim assessments for each grade. Domain specific assessments provide teachers insight into student performance by standard. Learn more about the Common Core Standards and Standards in Your State, as provided by the Common Core State Standards Initiative. Do benchmark assessments really affect achievement? Per Robert Slavin (2019), "Benchmark assessments are only useful if they improve scores on state accountability tests." However, the bad news is that "Research finds that benchmark assessments do not make any difference in achievement." This perspective is supported by studies that included benchmark assessments. A summary of findings for 6 elementary reading studies and 4 elementary math studies indicated mean effect sizes on achievement as essentially zero. "First, perhaps the most likely, is that teachers and schools do not do much with the information from benchmark assessments. ... Results of benchmark assessments are different for each student." A second reason is that "it takes time to score and return benchmark assessments, so by the time a team of teachers decides how to respond to benchmark information, the situation has moved on." "Third, benchmark assessments may add little because teachers and principals already know a lot more about their students than any test can tell them." For those reasons, Slavin (2019) suggested schools can save a lot of time and money by eliminating benchmark assessments. "Yes, teachers need to know what students are learning and what is needed to improve it, but they have available many more tools that are far more sensitive, useful, timely, and tied to actions teachers can take." Concerned about CCSS Math Tests? Read Dr. Patricia Deubel's commentary, Are We Ready for Testing under Common Core State Standards?, featured September 15, 2010, in T.H.E. Journal. Learn about the rise of online testing and concerns for educators who will be preparing students for new Common Core State Standards assessments. Readers might be interested in CCSSI Mathematics, a blog that "takes an independent look at the Common Core State Standards Initiative." Among concerns are those on question designs and learner potential problems in using technology to answer them. PARCC Practice Tests and released test items. The math practice tests from PARCC.Pearson are available in computer based and print formats for each grade 3-8, algebra 1, algebra 2, geometry, and integrated pathway. Teacher Chris Aviles (2015, February 3) posted an informative video at Tech & Learning that introduces teachers to their role in administering the PARCC online on test day: PARCC: Won't Somebody Please Think of the Teachers. PARCC Resources for Parents also include parent resources developed by educators and links to parent resources from your state. SBAC Practice and Training Tests include "sets of assessment questions aligned to the Common Core for grades 3–8 and 11 in both English language arts/literacy and mathematics." (para. 1). SBAC provided an important limitation of these tests. National Center and State Collaborative is developing "common alternate assessments in English language arts and math for its 25 partner states and curriculum/instructional resources to support teaching the Common Core State Standards to students with significant cognitive disabilities that can be used in any state." (Resource section: Project description). Read more on K-12 Student Assessment Programs at the Educational Testing Service: K-12 Center. Brainchild Online Assessment: Subscription based by schools or individuals. But demo questions are available online for your state. Lessons include multimedia instruction, study mode with immediate feedback, test mode with review of mistakes, self-directed student learning plan. National Assessment of Educational Progress has released numerous questions from past NAEP assessments, along with data about student performance on specific questions. An overview of NAEP and major findings from past assessments are included. NAEP reports, the tools featured in Explore NAEP Questions "can be used to supplement classroom instruction, provide additional insight into the content of the assessment, and show what students nationally or in your state or district know and can do." Readers should consider, however, that the NAEP is not considered a high stakes test. Gerald Bracey (2009) reported on characteristics that make it a poor accountability tool. For example, no student ever takes the entire test, nor do districts, schools, or individual students find out how they performed. Thus, students might not take NAEP as seriously as they would the ACT or SAT or their state high stakes tests (p. 33). Programme for International Student Assessment (PISA) from the Organisation for Economic Co-Operation and Development surveys "15-year-olds in the principal industrialised countries. Every three years, it assesses how far students near the end of compulsory education have acquired some of the knowledge and skills essential for full participation in society." The U.S. is among participating countries. Sample questions are available. Gerald Bracey (2009) noted that PISA is not a high stakes test and points out flaws in using results as a measure of the quality of U.S. schools. Chief among those is comparing results of a nation with a diverse population of over 300-million people to results of small "homogeneous city-states like Hong Kong and Singapore." Formal schooling differs among nations as to when students start school, policies differ in relation to repeating grades, and schools might not be serving the entire population, particularly those from low-income families. The design of test items also fall into question when one considers difficulty in translating questions into several languages, and keeping those questions free of culture bias (p. 34). Alabama: Alabama Department of Education: Student Assessment includes information about its state tests. Alaska: The Student Preparation section includes Item samplers/practice tests for ELA, Math and Science in grades 3-10. Arizona: Assessment section. Also see the AzMerit Portal for Sample Tests. Arkansas: Arkansas Department of Education Learning Services: Assessment (ArkansasEd.gov) contains booklets with released test items. Colorado: Colorado Student Assessment Program (CSAP) Released Items. Connecticut: Connecticut State Department of Education: Comprehensive Assessment Program Portal includes practice and training tests. Florida: Florida K-12 Student Assessment at the Florida Department of Education. Get released test questions and Florida practice tests for math grades 3-8, algebra 1, and geometry. Note: the Florida Department of Education, the National Science Foundation, and FCR-STEM have provided funding for the CPALMS (Collaborate, Plan, Align, Learn, Motivate, Share) initiative whose mission is to provide instructional resources vetted by peers and experts and professional development for implementation of the standards. You'll find curriculum, activity, and general resources and an extensive collection of lesson plans, and more. Georgia: Georgia Department of Education Testing/Assessment Also see the Mathematics section at GeorgiaStandards.org for additional resources. Illinois: Illinois State Board of Education: Assessment includes assessment resources. Indiana: Indiana Department of Education has resources and sample test items under its Office of Student Assessment section. Iowa: Iowa Department of Education: Student Assessment. See the Math Practice Tests for grades 3-11. Kansas: Kansas State Department of Education Note: See the Kansas State Department of Education Assessment Literacy Project available online with 21 modules appropriate for all educators. W. James Popham provided the introductions to these modules. Kentucky: Kentucky Department of Education released test items for end of course and K-PREP. Louisiana: The Louisiana Department of Education provides the Louisiana state content standards, lesson plans, web resources, and sample assessment items aligned to Louisiana content standards. Maine: Maine's Comprehensive Assessment System. The Maine Department of Education partners with Measured Progress, Inc. to develop and administer its summative assessment in Mathematics and English Language Arts/Literacy. 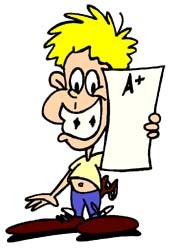 Grades 3-8 tests are delivered online. EmPowerMe sample and released items are available. Maryland: Maryland State Department of Education The Instruction and Assessment section includes sample items for PARCC tests, high school assessments, and the Maryland School Assessment (MSA). Michigan: Michigan Department of Education Student Assessment Program The Michigan Student Test of Educational Progress (M-STEP) is the online test that began in Spring 2015. Math tests will be administered in grades 3-8 and 11. Read the M-STEP Mathematics Summary and get sample questions at the website. Minnesota: Minnesota Department of Education indicates testing resources, including item samplers and Pearson’s Perspective, are available on the PearsonAccess Next website. Mississippi: Mississippi Department of Education Office of Student Assessment includes practice test items for grades 3-8 and high school (e.g., algebra 1). Montana: Montana Office of Public Instruction: Statewide Testing Montana uses SmarterBalanced Practice and Training items. Nebraska: Nebraska Statewide Assessment contains sampler items for math for grades 3-8. Also see practice tests for grades 3-8 at the Nebraska Student Center Assessment System. Nebraska uses the ACT exam for high school learners and has an ACT exam prep site. Nevada: Nevada Department of Education Standards and Assessments--Nevada uses SBAC and its practice tests in grades 3-8 and ACT and its practice tests in grade 11. Note: The Southern Nevada Regional Professional Development Program includes math resources for elementary, middle, and high school. These latter contain content units with notes (many indicating alignments with Common Core math standards), worksheets, quizzes, practice tests. New Hampshire: New Hampshire Statewide Assessment System includes its practice and training tests. New York State Education Department: See the section called Assessments in the Next Generation Learning Standards. NYSEDregents.org: Regents Examinations are listed for mathematics in grades 3-8, Algebra 1, Geometry, Algebra 2, Integrated Algebra, Algebra 2/Trig, and Mathematics B. Other subject past exams are also listed. North Carolina: North Carolina Public Schools released test forms for grades 3-8 and high school. Ohio Department of Education Testing. Information about legally mandated testing of Ohio students. See the practice tests and sample test items for Ohio's State Tests, Ohio's Learning Standards-Mathematics, and Ohio's High School Graduation Requirements. Ohio also has mathematics practice tests in print form for grades 3-8, algebra 1, geometry, and integrated math 1 and 2, which can be downloaded and used in place of the online practice tests. However, some questions that cannot be rendered as a paper/pencil item are omitted. Target your test prep with CT4ME resources! CT4ME developed Preparing Your Students for the Ohio Graduation Test in Mathematics. Help your students to review concepts and practice questions correlated to grades 8-10 mathematics benchmarks. These materials are also relevant for students in other states. Ohio's OGT will continue to be administered until 2022 for those who need to pass one or more parts of the exam. Go Figure? --According to the introduction, "The purpose of the Go Figure? Interactive Multimedia Project is to help students review for the mathematics section of the Grades 5-7 Ohio Academic Achievement Tests. It contains a DVD with eight, 20-minute dramatic videos, a CD-ROM edu-game, print materials, and the Web Site," all brought to you from the WOUB Center for Public Media." CT4ME is listed among resources for differentiated instruction. What's the Problem? --Reality Math for the Ohio Graduation Test is an intervention resource project funded by eTech|Ohio and produced by Ohio University students at the WOUB Center for Public Media. This free series of eight 10-12 minute videos focuses on the uses of mathematics in the real world through parodies of different television reality shows "and highlights the common mathematical mistakes that students make on tests. Each episode targets at least one of the five main benchmarks for Ohio Math Standards. The student engages in activities that present realistic math problems along with a review of the information that will help students solve the problems." Note: As math standards are identified, learners in all states can benefit. Oklahoma: Oklahoma Department of Education: Office of Assessments Assessment materials for grades 3-8 and "end of instruction" secondary tests include a set of representative released items. High school math includes algebra l, algebra II, and geometry items. Oregon: Oregon Department of Education Student Assessment includes online sample test items and resources for students. Pennsylvania: Pensylvania Department of Education Standards Aligned System (SAS) contains an Assessment section with options such as: Project-based assessment, the state's Keystone Exams with high school sample questions in algebra 1, algebra 2, and geometry, an Assessment Creator, Reference Materials (e.g., formative assessment), and more. South Carolina: South Carolina State Department of Education The section on Assessment Information includes Quick Links for Teachers with sample test items for math in grades 3-8 and algebra 1. South Dakota: South Dakota Department of Education: Assessment has information on its state testing program. Tennessee: Student Assessment in Tennessee You'll find a pdf file released November 2016 containing Mathematics: Grades 3, 5, and 7; Algebra I, Integrated Math I, and Algebra II Sample Integrated Items. Utah: Utah State Office of Education: Assessment. Vermont: The Vermont Agency of Education includes an assessment section within Student Learning with a portal to Smarter Balanced. Virginia: Virginia State Standards of Learning and Testing. Under Resources, you'll find practice items, released tests, and item sets in mathematics for grades 3-8, algebra I, algebra II, and geometry. West Virginia: WV Department of Education: Assessment includes assessment resources. Learn 21 is an interactive website with educational games, online video instruction, virtual field trips and other internet resources for preK-2, 3-5, 6-8, and 9-12. Math is a focus area, and there are other subjects. Wisconsin: Wisconsin Department of Public Instruction assessment resources include sample items from various tests given by the state, including for the Wisconsin Forward Exam. Most likely, everyone has experienced math anxiety at one time or another. It is an emotional response that often comes from negative experiences working with teachers, tutors, classmates, or family members. Symptoms include panic (feeling helpless about an ability to do better and putting pressure on yourself, which affects your ability to concentrate), paranoia (feeling that everyone but you knows the answer), passivity (feeling that regardless of what action you might take, you were just not born with math ability; hence you do nothing to overcome the problem), no confidence (you continually question yourself and approach math by memorizing rules and procedures, rather than through understanding concepts). Identifying the source of your problem may be a first step in overcoming it. Do you have math anxiety? Take a self-test from Dr. Ellen Freeman of Mathpower.com. View 1 considers the role of achievement on emotions: Poor math performance can trigger math anxiety in similar future situations. This view, known as Deficit Theory, is supported by longitudinal studies and studies of children with math learning disabilities. View 2 considers the role of emotions on achievement: Math anxiety may affect future math performance. This view, known as the Debilitating Anxiety Model, is derived from studies manipulating anxiety and observing its influence on math performance. It considers that "anxiety reduces performance by affecting pre-performance, performance, and retrieval of information" (Introduction section, para. 6). View 3 considers a bidirectional relationship between views 1 and 2. Carey et al. (2016) refer to a Reciprocal Theory to explain conflicting evidence, as "neither theory can fully explain the relationship observed between MA [math anxiety] and maths performance. The mixture of evidence may suggest a bidirectional relationship between MA and maths performance, in which poor performance can trigger MA in some individuals and MA can further reduce performance, in a vicious cycle. Nevertheless, more longitudinal and mixed-methods research is required to provide greater understanding into this relationship and more direct support for the Reciprocal Theory" (The Reciprocal Theory section, para. 4). In addition to outward behavior manifestations of math anxiety, there is biological evidence of its existence. According to Dr. Venod Menon of the Stanford University School of Medicine, "Math anxiety is an under-studied phenomenon, which still lacks formally established diagnostic criteria ... it is possible for someone to be good at math, but still suffer from math anxiety" (Digitale, 2012, para. 5). Menon and his team of researchers used brain scans in their study of 46 second- and third-grade students with low and high math anxiety, and found that "Children with high math anxiety were less accurate and significantly slower at solving math problems than children with low math anxiety. The results suggest[ed] that, in math anxiety, math-specific fear interferes with the brain’s information-processing capacity and its ability to reason through a math problem" (para. 12-13). "His team’s observations show[ed] that math anxiety is neurobiologically similar to other kinds of anxiety or phobias" (para. 7). Results may lead to new strategies for treatment of it, as in ways suggested for treatment of other anxieties and phobias. What teaching strategies help minimize math anxiety? Findings from research are particularly relevant for pedagogical methods that have been successful with learners, particularly in terms of reducing math anxiety. However, the potential for a bidirectional relationship between math anxiety and math performance per Carey et al. (2016, Reciprocal Theory section) would suggest that any interventions should address both math anxiety and math performance. Teachers also need to develop strong skills and a positive attitude toward math, as their attitude can rub-off on students. Relate math to real life. Encourage critical thinking. Teach for understanding rather than emphasizing drill and practice and rote memorization and repetition. "Present math as a thinking and decision-making tool." Encourage active learning (e.g., use games and hands-on activities). Accommodate students' varied learning styles (e.g., teach new math concepts using visual aids, discussions, play acting, hands-on activities, and technology). Place more emphasis on computational process and less emphasis on correct answers and computational speed. Use cooperative learning groups, as these enable learners to "exchange ideas, ask questions freely, verbalize their thoughts, justify their answers, and debate processes." Provide support and encouragement. It's ok to make mistakes. Avoid putting students in embarrassing situations. Never assign math problems as punishment. Use manipulatives to help learners master abstract concepts. Use technology in the classroom. This helps learners work at their own pace and receive instant feedback. Dispel harmful but popular misconceptions. Achievement is blocked by such misconceptions as "males are better at math than females; individuals are either good or not good at math no matter how hard they work; there is only one right way to solve a mathematical problem; and all mathematicians solve problems quickly and in their heads." Use a variety of assessments (e.g., "oral questioning, observation, demonstration, discussion, learning logs, and retesting with a former test, projects, performance tasks, and portfolios"). Prepare students for high-stakes testing sessions. Students do need practice working under pressure, so teachers might regularly administer timed practice tests. Researchers at Stanford University School of Medicine (2015) found that one-on-one tutoring can be used to relieve math anxiety. Grade 3 learners with high math anxiety participated in the study. The tutoring "fixed abnormal responses in the brain's fear circuits," as noted by functional MRI brain scans. Can learners reduce negative affects of anxiety? This aforementioned study was conducted by Gerardo Ramirez and Sian L. Beilock in 2011. Read the details in Writing About Testing Worries Boosts Exam Performance in the Classroom. Learn How to Learn Math. Another potential strategy to minimize anxiety is for students to learn how to learn math. Dr. Jo Boaler of Stanford University has a short, free course at youcubed.org called "How to Learn Math" for any student in all levels of mathematics. There are six short lessons about 10 to 20 minutes each. You'll get some key information on the brain and learning, and effective strategies for learning math. Concepts include overcoming myths about math, math and mindset, mistakes and speed; number flexibility, math reasoning, and connections; number patterns and representations; and math in life, nature, and work. The course also features videos of math in action. Learn more about what math anxiety is, how to take possession of your math anxiety, and get some strategies for how to study math and take tests. Read Coping with Math Anxiety at Platonic Realms. Deconstructing Maths Anxiety: Helping Students to Develop a Positive Attitude Towards Learning Maths by Dr. Sarah Buckley (2013) of the Australian Council for Educational Research. Cuesta College provides short and long term relaxation techniques and how to overcome negative self-talk in How to Reduce Text Anxiety, referencing Winning at Math, a 1997 work by Paul D. Nolting, Ph.D. HOT! Strategies for Reducing Math Anxiety, Volume 1102, September 2011, is an Information Capsule from the Research Services of Miami-Dade County Public Schools. It contains specific strategies for teachers, parents, and students to use to reduce math anxiety. The full list of Information Capsules are available at http://drs.dadeschools.net/InformationCapsules/IC.asp Per its description: "An Information Capsule is a review of recent publications in education. These reviews include summaries of educational research articles, reports, books - publications of any kind. The publications are relevant to educational administrators, teachers, and staff for the purpose of policy and management decision-making. These documents are considered condensed versions of what is commonly thought of as literature reviews." In Research Suggests Timed Tests Cause Math Anxiety, Jo Boaler (2014) "summarize[d] the evidence from neuroscience and describe[d] an alternative pedagogical routine that teaches number sense and math fluency at the same time as it encourages mathematical understanding and excitement" (p. 469). That routine involves number talks, which work well with students of different achievement levels. This article was published in NCTM's Teaching Children Mathematics, (20)8, 469-474. ACT provides online test prep for this exam and tips for success. HOT! Formative assessments for standardized test preparation: ASSISTments is a free web-based tutoring program for grades 2 to high school, principally with content for mathematics aligned to the Common Core standards. The program was developed by Professor Neil Heffernan at Worcester Polytechnic Institute (WPI) in Massachusetts and numerous colleagues (e.g., at Carnegie Mellon and WPI students, faculty and staff as well as many cooperating teachers) with funding and support from a variety of sources, including grants from the US Department of Education and the National Science Foundation. The word “ASSISTments” blends tutoring assistance with assessment reporting to teachers. This gives teachers fine grained reporting on skills that the system tracks. The developers identified skills using standards from many states, and their observations of many state assessments. As a formative assessment tool, math teachers assign problem sets to their students to do on the computer, and students are tutored on the items they get wrong. Teachers log on to the system and study detailed reports about their students’ difficulties and strengths. Teachers can use content developed at WPI or write their own content. Numerous schools in the US are taking advantage of ASSISTments for their students. Chegg.com provides ACT and SAT test prep courses (not free). However, among free ACT and SAT resources you'll find tips for success, free lessons, and a free online practice test. Chegg also offers homework help for math, which includes math help by subject category and a series of math definitions. CollegeAtlas.org: Study Skills Guides for College Students. While meant for college, this site has tips beneficial for all students, regardless of level. You'll find sections devoted to general study skills, reading and writing, test taking and preparation for a variety of test types, time management, memory techniques, and subject specific study skills that also include for math. Cuesta College: Math Study Skills includes multiple pages of academic support devoted to math study skills and test taking skills, referenced from Winning at Math, a 1997 work by Paul D. Nolting, Ph.D. Of particular value are the 10 steps to better test-taking. Formative Assessment Item Bank was originally developed by the Educational Testing Service, acquired by Northwest Evaluation Association, and is now offered by Certica Solutions, which acquired the item bank from NWEA in February 2015. It includes assessment coverage for K-12 Math, English Language Arts, Science, and Social Studies. Assessments are aligned to state, Next Generation Science Standards, and Common Core standards. Item types include multiple choice, constructed response with rubrics, writing prompts with rubrics, and technology-enhanced items. Gojimo is a free app for standardized test prep, including the SAT, ACT, and AP exams (e.g., AP Calculus). It's available in iTunes (designed for iPad and iPhone) and on Google Play. There are also test prep options for those in the UK. HSTutorials.net has animated and step-by-step audio-visual tutorials in pre-algebra, algebra, and geometry and tutorials and resources related to test prep. Internet4Classrooms: Access activities on specific concepts within mathematics strands for grades 1-8 and an extensive list of standardized testing practice sites. Intervention Central provides intervention ideas in the areas of general academic strategies, reading, writing, math, behavior modification, studying and organization, classroom management, and making rewards work. This site is brought to you by J. Wright, a school psychologist in Syracuse, New York. IXL Math from IXL Learning is a math practice site, which has problem sets for preK-8, algebra 1, algebra 2, geometry, precalculus, and calculus. The site provides a colorful, engaging environment for mastering skills. Guests can access "20 problems per day" for free with feedback on answers to help with understanding; however, the service is subscription based. Full benefits (e.g., student progress tracking and reports; and an awards system for learners who reach their goals) are gained with membership. You can identify specific activities for learners corresponding to state standards. IXL includes a diagnostic for six strands in math and also for a working math grade level. Jefferson Lab (VA), although primarily for science education, has some good puzzles and games suitable for use with elementary students to help them master basic math facts using addition, subtraction, multiplication, and division; also practice use of < = >, place value, and coordinates. Speed to complete exercises in noted as a motivation element. Khan Academy: SAT Test Prep: The College Board has teamed up with Khan Academy for free SAT Test Prep materials. Students will find hundreds of questions and a set of videos with step-by-step solutions to help prepare for this exam. Kidtest.com helps students from kindergarten through college to do better on achievement tests. The site contains several practice U.S. state and Canadian province achievement tests online and features near immediate grading and feedback reports. An online educational supplies store and online flashcards are offered. Kids Place Mathematics from Houghton Mifflin Company contains online quizzes and tests and brainteasers correlated to their mathematics textbooks for grades 1-6, and additional test taking skills. MathDrills by Elias Saab of the University of Missouri will help students to prepare for Mathcounts, SAT and ACT math problems. In addition, the basic skills sections can be used by students in upper elementary through high school settings. Answers and hints are provided. Sections include problems on distance, speed, and time; problems on job completion, roots of polynomials, factoring polynomials, percentage word problems, arithmetic and fraction attack (+, -, x, /), bases, linear equation drills, prime factorization, and LCM and GCD. Elias Saab also maintains the Online Test Page. Number2.com has free online test prep for the SAT, ACT, and GRE exams. HOT for CCSS: orgLib.com includes test-prep resources aimed to prepare K-12 students for SBAC and PARCC computer-based tests. You'll find technology-enhanced items, activities and worksheets that are aligned with common core state standards. You can search for assessments by standard, questions by topic, and worksheets by standard. There is also an assessment management system. HOT! Open-Ended Math Problems posted at the Franklin Institute web site is specifically designed for middle school students to prepare for solving open-ended math problems on standardized tests. Although these are geared to Philadelphia (PA) standards, all middle school learners and even some high school learners will benefit. There are problem sets for each month September through April with three levels of difficulty. Problems are included for each major math strand: number theory, measurement, geometry; patterns, functions, algebra; and data, statistics, and probability. Possible answers and rubrics for assessment are also provided. Shmoop offers fee-based test prep for multiple tests (e.g., SAT, ACT, AP exams, Common Core). Shmoop Common Core test prep in math include PARCC testing for Algebra 1, Algebra 2, and Geometry; and SBAC for grade 8 and grade 11. Some learning resources are free, including study guides and videos for math--well worth examining. SparkNotes: Math Study Guides include review explanations and problem sets for pre-algebra, algebra 1 and 2; geometry 1,2, and 3; trigonometry, pre-calculus, and advanced placement calculus levels AB, BC1, and BC2. There's also test prep for SAT, ACT, GRE, and AP courses. Other subjects are also included at this site. Study.com has a series of video lessons to help prepare learners for standardized tests. Among those are GED Math (73 lessons); AP Calculus Exam Prep (169 lessons); PSAT: Practice & Study Guide (242 lessons); SAT: Practice & Study Guide (285 lessons); and ACT: Practice & Study Guide (407 lessons on multiple subjects, including math). Study Guides and Strategies contains several sections: study skills, preparing for tests, taking tests; improving research, project management, reading, writing, science, and math skills. Study Island is a commercial product for standardized test prep in your state for elementary, middle, and high school grade levels and exit exams or end of course exams--whatever your state requires. The developers link their multiple choice questions to specific state standards. The program is web-based offering diagnostics and instruction and will generate various reports to help monitor mastery. Study Island also has a Common Core Benchmarking Program to help identify areas of student proficiency in relation to the Common Core State Standards. Study Island is a product of Edmentum, which stated "Students can work through questions using a standard test format, an interactive game format, printable worksheets, or a classroom response system." Pricing is available for the home, and schools/districts. Test-Guide.com free ACT practice tests. The site developers have "compiled nearly 5,000 practice questions, including 18 full-length ACT practice tests and 5 official tests from ACT." Additional resources for study tips, subject-specific strategies and more are also available. Practice tests include answers and explanations. Test-Guide also provides test prep resources for other major standardized tests (e.g., SAT, PARCC, GED, and more). That Quiz is a real find. K-12 students can select practice tests (customized for their needs) with varying degrees of difficulty using integers, fractions, concepts (time, money, measurement, place value, graphs), geometry, algebra, calculus, probability, and more. Some are interactive and offer manipulatives (e.g., ruler, protractor). Select to view in Spanish, if needed. Trends in International Mathematics and Science Study Test your mathematics and science knowledge by completing TIMSS items in the Dare to Compare challenge! TIMSS provides reliable and timely data on the mathematics and science achievement of U.S. students compared to that of students in other countries. See how well your students stack up. Answers are provided as feedback. University of Houston System has two online test prep courses for high school learners: Preparing for the AP Calculus AB Exam and Preparing for the AP Statistics Exam. 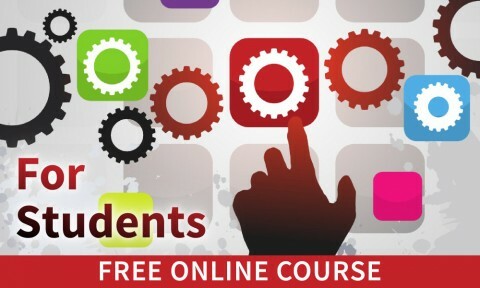 Courses are provided for free and are offered via Coursera. Each runs for six weeks, and includes a practice test at the end of the course. USATestprep is a subscription based online product to help prepare high school, middle school, and elementary students for standardized testing. Materials include diagnostic assessments, performance tracking, practice questions (e.g., multiple choice, free response), games, interactive skill work, performance tasks, video content, instant feedback, and more. Free trials are available to qualified educators. Review products are aligned to individual state standards, including the Common Core (Take A Tour section, Engaging Content). Varsity Tutors: Practice Tests is a free section of the Varsity Tutors website where you will find practice test questions in multiple choice format and flashcards in multiple subject areas. When viewing math tests, for example, learners can select the concept to practice. Explanations for answers are included. Among K-12 math categories are basic arithmetic, basic geometry, algebra 1, algebra 2, trigonometry, precalculus, calculus (including AP), and math related to the ACT, GED, CLEP, GMAT, GRE, HSPT, ISEE, and SAT exams. Subject and test prep mobile apps are also available. Know the Purpose of the Test You Take! Evaluation of instruction (p. 47). Norm-referenced standardized tests are used "to compare the performance of a student or group of students with the performance of a population of other students, typically a state or national population, [but] they serve no purpose in measuring student achievement of the content of the standards." Although O'Shea (2005) noted two kinds of standardized tests, Popham (2014) indicated: "Although test developers may build tests they believe will provide accurate norm-referenced or criterion-referenced inferences, a test itself should never be characterized as norm-referenced or criterion referenced" (p. 64). It's a common misconception. "What's criterion referenced or norm-referenced is the inference about, or the interpretation of a test taker's score" (p. 64). This clarification is important if one is using precise language. To emphasize, "it's score-based inferences--not tests--that are criterion-referenced or norm-referenced" (p. 64). Thus, educators should know how test results will be interpreted. According to Popham, "To support actionable instructional decisions about how best to teach students, norm referenced inferences simply don't cut it" (p. 64). Per Popham (2016), "the primary purpose of a particular educational test ... should dominate the decision making of those who are building the test as well as those who are evaluating it. Currently, emphasis on purpose is absent from U.S. educational testing" (p. 49). The following will help you to better understand terms associated with standardized testing: Glossary of Standardized Testing Terms from the Educational Testing Service. Category 1. "Category 1 accommodations are not expected to influence student performance in a way that alters the standard interpretation of either criterion- or norm-referenced test scores. Individual student scores obtained using Category 1 accommodations should be interpreted in the same way as the scores of other students who take the test under default conditions. These students’ scores should be included in summaries of results without notation of accommodation(s)" (p. 5). Examples: Students take the test alone or in a study carrel, or have directions read aloud or recorded. ELL might need bilingual directions. Some students might need to give responses to a scribe or use sign language. Category 2. "Category 2 accommodations may have an effect on student performance that should be considered when interpreting individual criterion- and norm-referenced test scores" (p. 6). Examples: Students are given extra time to complete a timed test. ELL are given audiotaped test items provided in native language version or a side-by-side bilingual test or translated version provided for content other than Reading and Writing. Category 3. "Category 3 accommodations are likely to change what is being measured and have an effect that alters the interpretation of individual criterion- and norm-referenced scores. This occurs when the accommodation is strongly related to the knowledge, skill, or ability being measured (e.g., the use of a Braille test where not all items in the non-Braille version are administered in Braille)" (p. 7). Example: Students are permitted to use calculators or tables on a math computation test when the intention is to measure computation skills without calculator use. Have you made appropriate accommodations for students with disabilities? The National Center for Educational Outcomes provides a list of State Websites for Accommodations Information. The Partnership for Assessment of Readiness for College and Careers (PARCC) includes a series of common policies related to assessment administration, scoring and the reporting of Common Core test results. There is a manual that addresses accessibility and test accommodations for learners with disabilities and English language learners. The Smarter Balanced Assessment Consortium (SBAC) assessments include summative assessments for accountability purposes and optional interim assessments for instructional use and will use computer adaptive testing to the greatest extent possible. Assessments go beyond multiple choice questions to include extended response and technology enhanced items, as well as performance tasks that allow students to demonstrate critical-thinking and problem-solving skills. Read SBAC updates for Accessibility, and Accommodations that outline the kinds of testing supports and tools that will be made available to all students, and particularly those with disabilities and English-language learners for the Common Core assessments. The U.S. Department of Education provides SES information among its SES resources. Studies and reports on SES are also among resources. Contact your state for a list of providers in your area. The Every Student Succeeds Act of 2015 does not mandate tutoring. Within Section 1004: Direct Student Services, a local education agency applying for funding "may include high quality academic tutoring" among components for a "personalized learning approach" (114th Congress, 2015, p. S.1177-18). In determining who can provide "high quality academic tutoring" the local education agency may select from "a variety of providers of such tutoring that are selected and approved by the State and appear on the State’s list of such providers" (pp. S. 1177-18 - S. 1177-19). See NCLB Supplemental Educational Services Non-Regulatory Guidance at https://www2.ed.gov/nclb/choice/help/ses/guidance.html. This document from the U.S. Department of Education (2009) provided information about state and local education association responsibilities, monitoring requirements and services, arranging for such services, the role of parents, provider responsibilities and funding. Answers to frequently asked questions on school choice and SES are at https://www2.ed.gov/parents/schools/choice/choice.html. Just as in the classroom, tutors need to be qualified. They need subject-matter expertise. Certification and prior teaching experience is a plus. A tutor needs to know if the student has a learning disability, and if so, the tutor should have skills in working with the specific disability. If not, then the tutor and/or program might not be appropriate for that student. Edward Gordon (2006) provided the following suggestions on what to look for in a good tutoring program. Check if the student has learning disabilities. "Past research reveals that tutoring is most effective when it helps students literally 'learn how to learn.' ...students often fail to master important basic skills because of subtle undiagnosed learning disabilities, dyslexia, underachievement and other learning issues that may limit study skills" (para. 4). Ensure that tutoring is individualized and that tutors are recording progress. "Good tutoring -- particularly diagnostic/developmental tutoring -- closely observes and records student learning strengths and weaknesses on a class-by-class basis...This precise remedial approach is ongoing throughout the student's tutoring sessions" (para. 5). "Tutors need to follow a written curriculum that helps individualize their instruction" (para. 7). Ensure parental support. "Tutors need to coach parents on how to better encourage good study habits and motivate their child's daily learning at home" (para. 8). Gordon and his colleagues Ronald Morgan, Judith Ponticell, and Charles O'Malley (2004) provided the same and additional advice in Tutoring Solutions for No Child Left Behind: Research, Practice, and Policy Implications. In all three reviews, tutoring by paraprofessionals (teaching assistants) was at least as effective as tutoring by teachers. Volunteer tutoring was far less effective than tutoring by either paras or teachers. Inexpensive substitutes for tutoring have not worked. Certain whole-class and whole-school approaches work as well or better for struggling readers than tutoring, on average. Tutoring does not work due to individualization alone. It works due to individualization plus nurturing and attention." Note: A teacher (shorelineschools.org) recommended TeachingTextbooks.com as a source for texts (grades 5-7, pre-algebra, algebra 1 and 2, geometry, and precalculus) that have the potential to minimize a need for personal tutors (personal communication, July 31, 2008). According to the developers, "Using a Teaching Textbook is like having a friendly tutor available." Texts are designed to be used by independent learners and home-schooled students. As of 2018, texts are available in e-book format. Bracey, G. (2009). The big tests: What ends do they serve? Educational Leadership, 67(3), 32-37. Doorey, N. (2014). The common core assessments: What you need to know. Educational Leadership, 71(6), 57-60. Gordon, E., Morgan, R., Ponticell, J., & O'Malley, C. (2004, March). Tutoring solutions for No Child Left Behind: research, practice, and policy implications. NASSP Bulletin, 88(638), 59-68. Gullen, K. (2014). Are our kids ready for computerized tests? Educational Leadership, 71(6), 68-71. Herman, J. L., & Baker, E. L. (2005). Making benchmark testing work. Educational Leadership, 63(3), 48-54. Popham, W. J. (2014). Criterion-referenced measurement: Half a century wasted? Educational Leadership, 71(6), 62-66. Popham, W. J. (2016). Standardized tests: Purpose is the point. Educational Leadership, 73(7), 44-49. Reeves, D. (2004). Accountability for learning: How teachers and school leaders can take charge. Alexandria, VA: ASCD. ISBN: 0-87120-833-4. Weinstock, J. (2008, February). Make it a test worth teaching to. T.H.E. Journal, 35(2), 8. See related topics: Math Resources and Math Manipulatives.